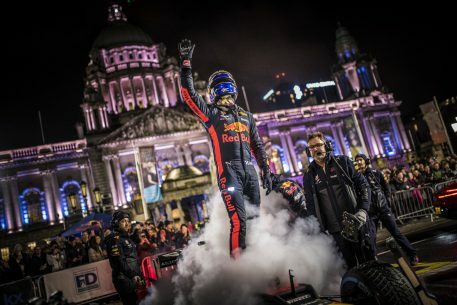 David Coulthard of Scotland performs at the Red Bull F1 Showrun at Belfast City Hall, Northern Ireland on November 3rd, 2018. 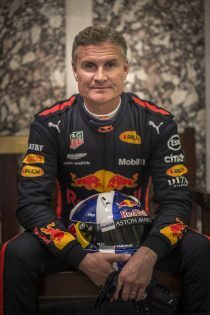 David Coulthard of Scotland seen at the Red Bull F1 Showrun at Belfast City Hall, Northern Ireland on November 3rd, 2018. 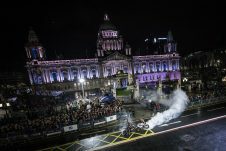 Jeremy McWilliams of Northern Ireland and Ryan Farguhar of Northern Ireland perform at the Red Bull F1 Showrun at Belfast City Hall, Northern Ireland on November 3rd, 2018. 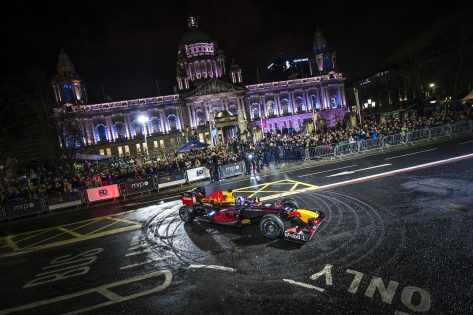 Belfast city centre was buzzing at the weekend with the return of the Red Bull F1 Showrun to the city, attracting in excess of 35,000 spectators, nearly twice as many as before. Motorsports legend David Coulthard, who drove the RB8 F1 car wowed the crowd alongside local motorcycle veterans Jeremy McWilliams and Ryan Farquhar, stunt bike rider Mattie Griffin from Galway and pro drifter Conor Shanahan from Cork. 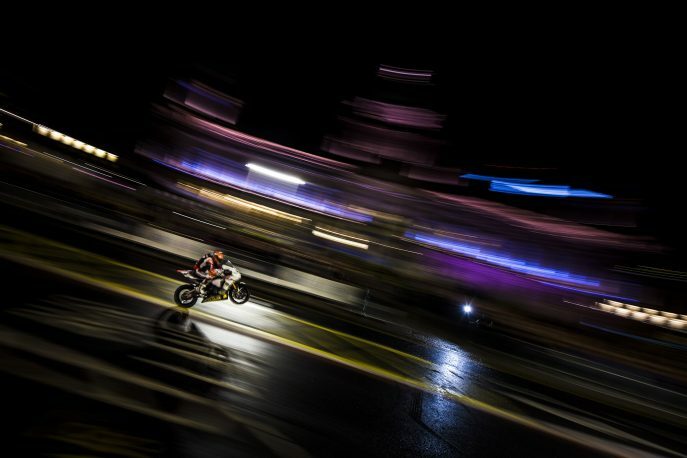 The sportsmen revved up a high-octane mixture of donuts, drifts, burnouts, speed stretches, road racing and F1 magic outside City Hall as well as chatting to the welcoming crowd. 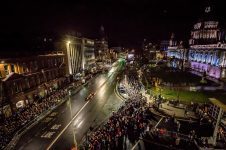 Motorsports fans queued from 12 noon until 5pm to see the Red Bull F1 Racing car which was on display for the public in front of City Hall and many stayed in the city centre to get access to the best vantage points for the event, which was also shown on 3 big screens. 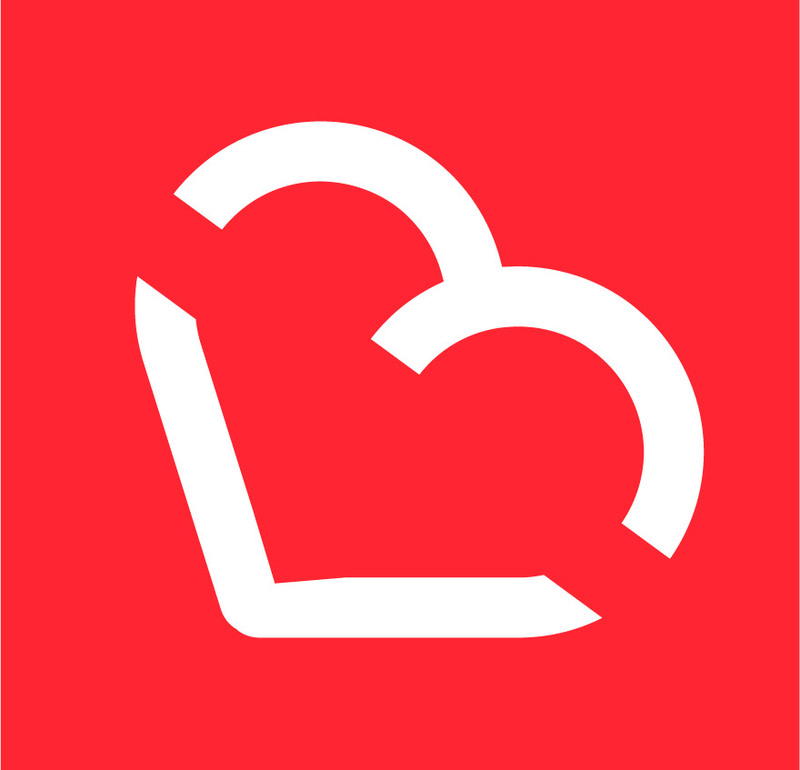 Belfast is one of only four cities in the world, to which Red Bull brought the F1 Showrun in 2018.